Glassez!2 Internet Community is released! 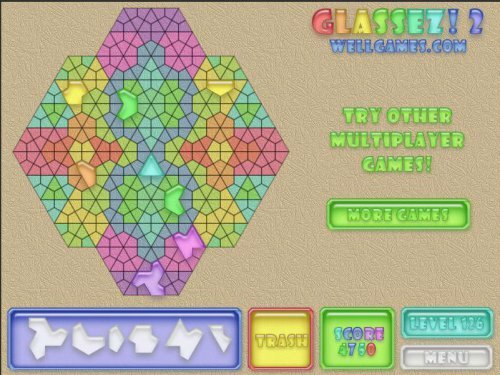 This game is the 2nd addition of the famous multiplayer puzzle Glassez! Play over 180 absolutely new fascinating levels designed entirely by our users! Your task is to create a nice stained-glass picture of variously shaped glass pieces. Rotate pieces to fit the right spot and send the useless ones to trash. Use your creativity and feel the emulative spirit playing multiplayer mode! This is a great #puzzle game. Very сolorful and beautiful!